As I write this, I take note: it's day five. And the intro image above says day three. Curious, that. So, why does the image say day three and the post is, er, posted on day five? Because it's a lot of time consuming work producing these things, and I like confusing everyone. Day Three included a visit to Meritage. Day Five is when Joe actually finished editing pictures and wrote the post. It has become very clear during the Eat Local Challenge (I think I'm going to write a macro that replaces the text Eat Local Challenge with a random brick-laying term. Such as, I've been having so much fun participating in the Eat Local Challenge Flemish Bond! 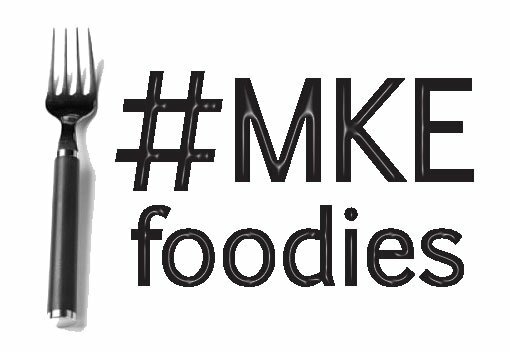 Or, I hope lots of people in Milwaukee have stepped up and done their own Eat Local Challenge Rowlock/Shiner - Soldier/Sailor! See? Much more fun.) that eating local is demanding. When I first volunteered to live under glass, I envisioned going to a few restaurants, talking with them about why they chose local ingredients, yada yada yada. But a funny thing happened -- I started getting really picky about what I was eating when I wasn't at those restaurants. I questioned individual ingredients I was using, and when asked to an "appetizer party" on Sunday, made sure that all three dishes I brought contained 98% local ingredients -- right down to the salt and pepper from Penzey's. When work took me to Waukegan today, I regretfully ate very un-local, and even had to chip in for Illinois sales tax (bleagh). I felt guilty about it. Until I snacked on a local Zestar! apple this afternoon, and all was right with the world again. Point is, I'm looking for ways to integrate local foods into my diet, and I never really intended to. I mean, a Michigan peach is just as good as a New Berlin peach, right? Wrong. This is such a wonderful time to enjoy the bounty that Wisconsin is beginning to rake in, I don't know what I'm going to do in a few short months when I'm back to eating Brazilian apples. Maybe cry a little inside. Let's not dwell on the impending winter, eh? 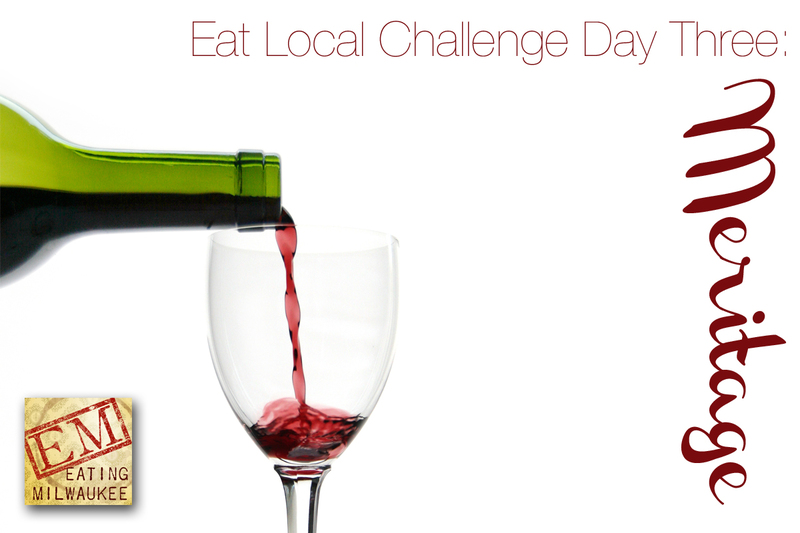 Instead, let's celebrate a beacon of cooking local in our community. Let's sit down for a meal at Meritage. Chef/Owner Jan Kelly is a rockstar. She has a passion (there's that word again) for what she's cooking, the same way I see artists suffer over single brushstrokes. Her life is poured through Meritage, and it becomes plainly evident the moment you speak to her. Take that salad in: go ahead. Click on it to enlarge it, because by the time you read this, most of these ingredients are almost out of season. Chef Jan explained, "Growing Power spinach, local feta, and a family recipe for the poppyseed dressing. Oh! Just wait until you try the watermelon!" I didn't see any watermelon. Although, I did find it odd that Wisconsin produces pineapple, which I did see. Upon first bit, my head swam. The pineapple was watermelon! The watermelon was pineapple! What kind of messed up peanut butter-in-my-chocolate insanity was this?!? "Yellow watermelon." Chef Jan said, with a little smirk. "Better than candy." And it was. Crunchy and sweet and perfect -- if I had access to a salad like this every day, I'd be half my weight. And that's saying a lot. The creamy (goat?) cheese is what made this for me: the well-proven contrast of sweet/salty/meaty/porky in the melon and prosciutto was upped a few notches with the smooth, creaminess of the cheese. Jan came to the table with a ear-to-ear smile, "I almost forgot!" she gushed, "we're doing tappas tonight!" She brought down a small ramekin to the table, with the most heavenly aroma. "This is how my mom got us kids to eat our vegetables. Local squash in a gouda cheese sauce!" The squash made the most incredible pair with the gouda: there were pockets of the cheese sauce that completely dominated my mouth, and then the squash would come through, traffic cop of all that is good and healthy, and remind me what the real reason of the dish is. It's not called Gouda Cheese Sauce with Squash, after all. Warm notes of nutmeg rounded out the sauce, and herbed bread crumbs on the top of the gratin made for a nice textural play. Jeez. In order for me to eat my vegetables when I was a kid, my mom just told me I'd have to go to confession and tell Fr. Chuck what a derelict child I was. I'd have preferred the gouda and squash, frankly. Would have saved on the psychotherapy bills. Listening, mom? (Radish?) Sprouts adorn three pork skewers, perched atop what was possibly the most insanely tasty potato salad I've ever had. Going clockwise from the right, we have: breaded, fried lamb belly; lamb kabobs, lamb spin-roll, and hidden beneath the greens, a healthy dose of tahini-chickpea salad. The lamb kabobs don't just showcase that delectable Pinn-Oak Ridge Farms lamb that Chef Jan creates masterpieces from -- oh, no. That Pinn-Oak perfection is paraded out like Mighty Joe Young, a gorilla-sized flavor rampaging across the table. The lamb is deep, rich, flavorful, and not the least bit lamb-y. And the lamb belly. Oh! The lamb belly! Chef Jan gets that one-corner-of-the-mouth-up smirk again, "You see pork belly everywhere. But how often do you see lamb belly? I had to look hard to even find it!" Thank God she did. The lamb belly is this most ridiculous mix of fat, of tender meat like it should be velvet, of crunchy crust and richness which makes it the perfect small-portion treat. "If I put lamb belly on the menu by itself, no one would order it!" Chef Jan explained. I interjected, "I'd order it!" She raised an eyebrow, "Okay, you'd order it. And a half dozen other adventurous people would order it. But when I include it with the kabobs, people have to try it. And they're led to discover it." This works, though: given a taste, now I want it all the more. And maybe, just maybe, Chef Jan can start a trend -- have all of the haute cuisine chefs across the country clamoring not for candied pork belly, but rather Pinn-Oak lamb belly! As I was packing up my lights, a very kind hearted server handed me a to-go box. "Chocolate lovers. You know, for later." It was Jan's infamous flour-less chocolate cake, with chocolate mousse, and topped with a thick chocolate ganache, sided by a rather large puff of vanilla-bean mascarpone cream. Seriously. I would have taken a picture of the cake, but sadly, a wild fork appeared! It was super-effective. "I'm not a big chocolate freak," Jan confessed at the bar later. I looked at her as if she killed a Muppet. "It's just not my thing." But this is why I love Chef Jan: we talked for almost two hours about, er, just about everything. Turns out, Chef Jan loves Royal India just about as much as we do. She cried during the series finale of Six Feet Under (which, by the way, is the appropriate response to said show. The inappropriate response is to quit student teaching and go to mortuary school. Ahem.). She loves Mazos and little Asian grocery stores and Penzey's Lamb Blend. Get Chef Jan rolling, you'll find out she's just as invested in this burg as we are. Meeting Chef Jan made my day. Seeing her enthusiasm and energy for integrating quality local ingredients into her dishes made my week. Seeing that passion in action (and, of course, tasting it) makes me want to keep coming back to Meritage, to see what next season's menu will bring. Meritage is certainly not every-day faire. But the excitement of having such fine dishes, such clever implementation of season, local ingredients, is what makes you want to find opportunities to go. Chef Jan is one of those rare restauranteurs: incredibly passionate, amazingly knowledgeable, and immediately approachable. Talk to her about her favorite Penzey's blends -- she'll tell it like it is. Want to know about what cuts from Pinn-Oak are really top-notch right now? She'll give you the low-down. Give her some grief about her lack of chocolate love -- she can take the joke. For every restaurant in Milwaukee wanting to carve out a niche for themselves by doing something a little different, a little trendy, Meritage is simple elegance, showcasing dozens of local ingredients, and standing out for it. 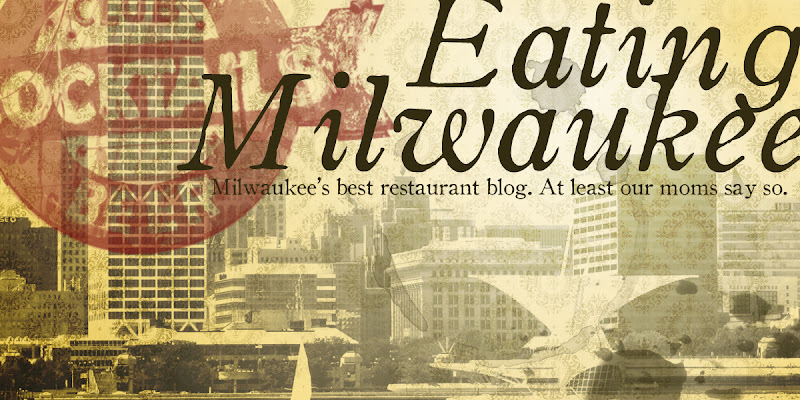 We here at Eating Milwaukee are big fans, and look forward to years to come of Eating Local at Meritage with Chef Jan! Nailed the review, Joe. Great photos, as always. Mmm. This is exactly the sort of thing that keeps me coming back to Jan's place. Nice work.